Is it safe to say that if Sprint itself can barely make it as a mobile carrier, then companies that have to pay Sprint and others for their network to resell their services will have an even harder time? This seems to be the case as recently, Beverly Hills based Voce closed up shop with no warning to subscribers. All of a sudden it seems people's diamond-encrusted telephones became instant fashion accessories with no other function. In addition to this problem it seems just before closing down the company tried to charge subscribers twice in a month for service. Well, at least we know most Voce users could probably afford to pay twice. It seems that except for rare instances, the MVNO market makes no sense. There are just too many high-profile companies that tried and died in this game. Like I opened with, if Sprint can't make it (or at least you might say they are barely holding on), how will these MVNOs stand a chance if they aren't either master marketers or in a niche the majors don't want to or can't touch? Of course I would eat every one of these electronic words if Steve Jobs decided Apple was getting into the MVNO biz. See this LA Times story for more. Can Apple&apos;s Haunted Empire Still Make Hits? \nIs it safe to say that if Sprint itself can barely make it as a mobile carrier, then companies that have to pay Sprint and others for their network to resell their services will have an even harder time? 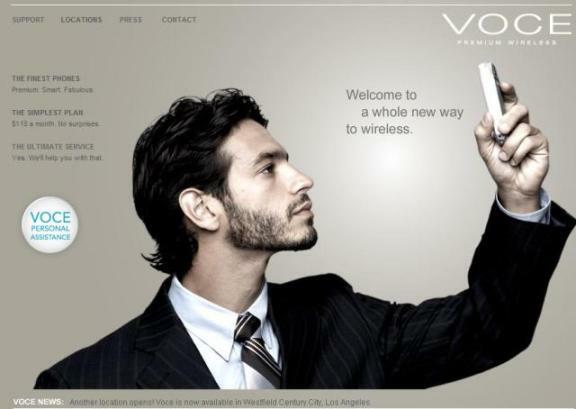 \nThis seems to be the case as recently, Beverly Hills based Voce closed up shop with no warning to subscribers. All of a sudden it seems people's diamond-encrusted telephones became instant fashion accessories with no other function. \nIn addition to this problem it seems just before closing down the company tried to charge subscribers twice in a month for service. Well, at least we know most Voce users could probably afford to pay twice. \nIt seems that except for rare instances, the MVNO market makes no sense. There are just too many high-profile companies that tried and died in this game. \nLike I opened with, if Sprint can't make it (or at least you might say they are barely holding on), how will these MVNOs stand a chance if they aren't either master marketers or in a niche the majors don't want to or can't touch? \nOf course I would eat every one of these electronic words if Steve Jobs decided Apple was getting into the MVNO biz. \nSee this LA Times story for more.